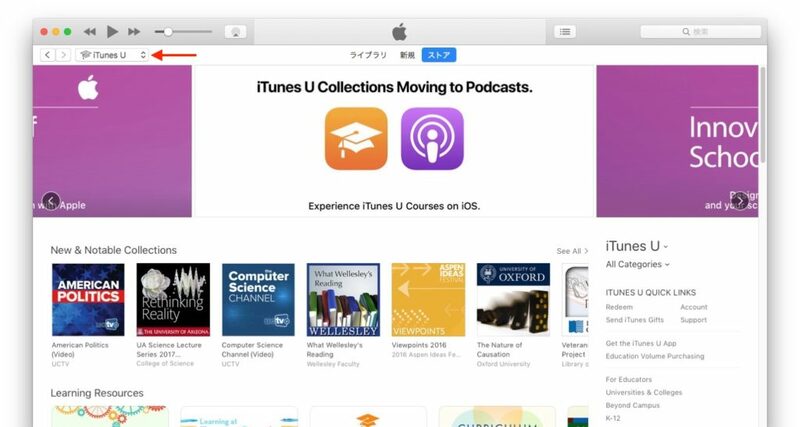 Apple、2017年9月中に「iTunes U」のコレクションをPodcastへ移動すると発表。 | AAPL Ch. 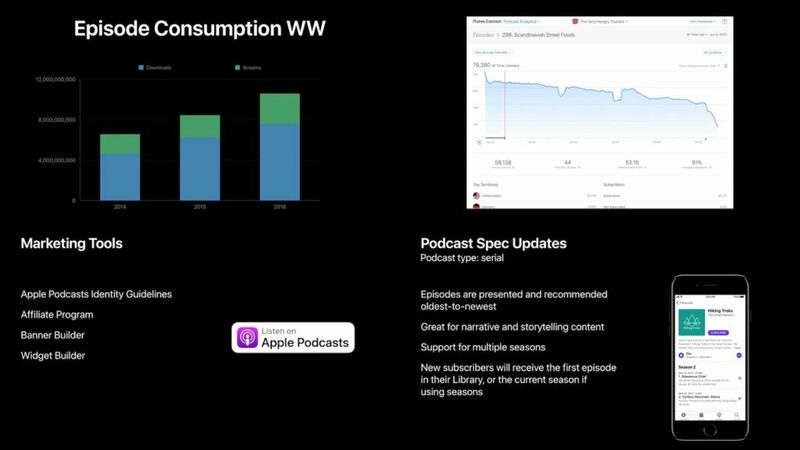 Starting in iTunes 12.7, iTunes U collections become Apple Podcasts. 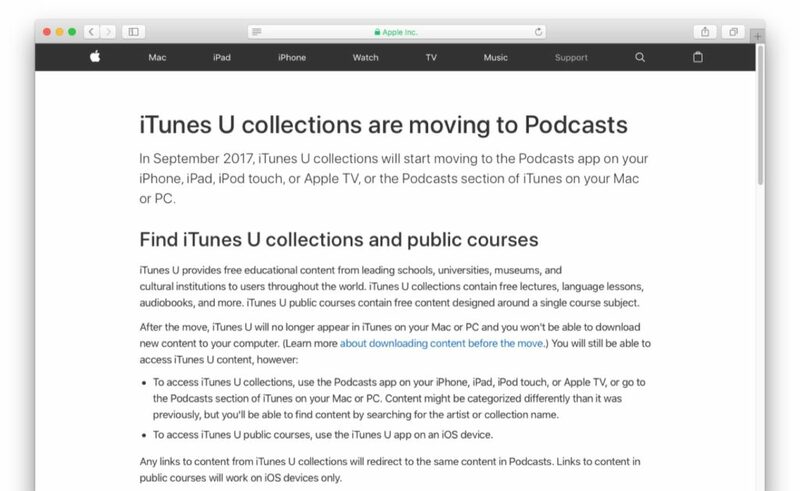 With this change, Apple will automatically migrate all your collections to podcasts, your collection content will be available in the Podcasts app and the Podcasts section in iTunes, and your iTunes U catalog will be courses only.